we just need to know it.
. 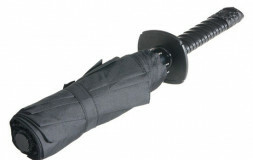 In particular, universal fighting system (UFS) which promotes a mix of fighting styles and bouts. But very few people know about Nippon Kempo (jp:日本拳法) system. 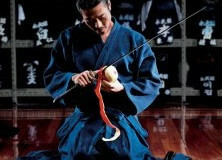 It was the first system of the full-contact mix fighting in 1930s in the motherland of Samurai Japan. 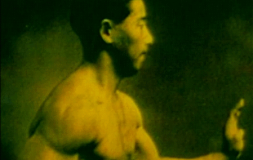 The founder of the Japanese hand-to-hand fighting which became Nippon kempo was Masaru Sawayama. He was born on December 12, 1906 in the family of a noble Nakaoke Clan. He was a weak child. It was difficult for him to walk to school. This was till he was 13 (thirteen). At that time different kinds of Western sport began to appear in Japan: baseball, boxing, bodybuilding etc. Japanese young people became fond of these new trends. Magazines and books which made western sport popular came from Europe. 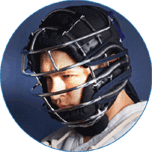 Sports shops began to sell barbells, dumbbells, expanders and other sports equipment of exotic Western civilization. Masaru felt the influence of such expansion and he decided to change – a man must be strong! He started bodybuilding and martial arts. And in some years he turned into a strong young man with a perfect body. 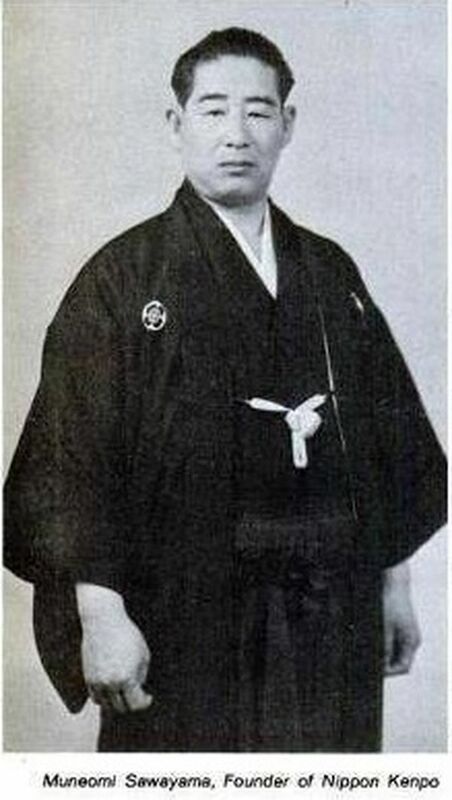 One of the founders of western ways of preparation of sportsmen in Japan legendary Dzigoro Kano (founder of Judo) had great influence on life and development of Sawayama Masaru. 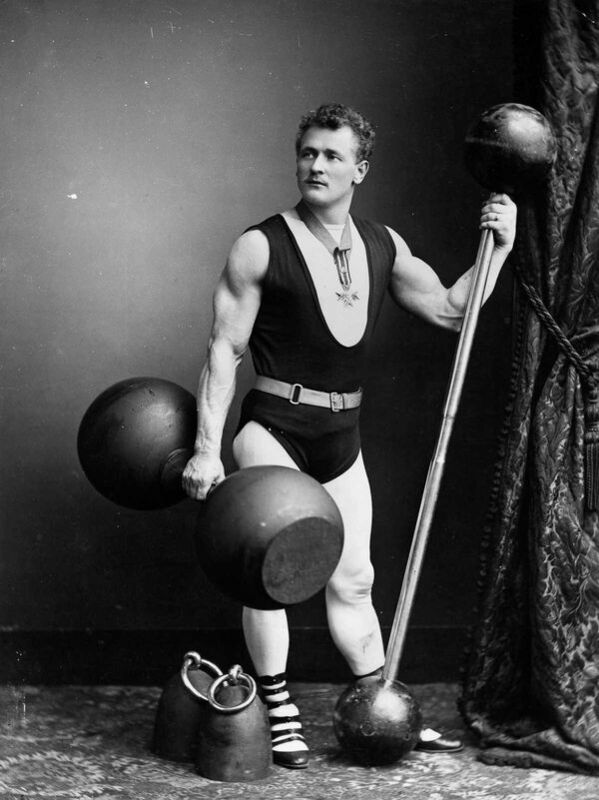 In 1904 Dzigoro Kano implemented and made popular the bodybuilding system of Yevgeniy Sandov. Dzigoro Kano was an educated man; he could go around the world and Europe and find different methods of training. He paid attention to bodybuilding system and he was the first to use barbells, dumbbells, and expanders in Judo. 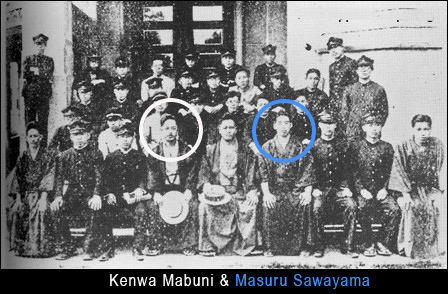 In 1926 when Sawayama Masaru went to Law School of Kansai University in Osaka he was a perfectly developed young man.
. He turned into the defender of all the weak; he many times stopped fighting students and local gangsters. 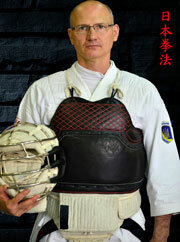 Sawayama Masaru was a skillful fighter, a good organizer and leader and the head of the university judo team. 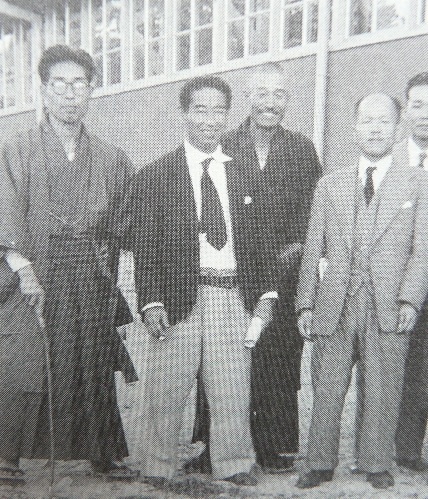 At university Sawayama was interested in striking and kicking fighting techniques. 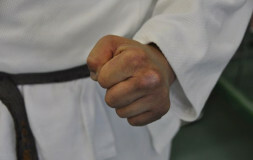 He thought it was not used enough in judo and ju-jitsu. 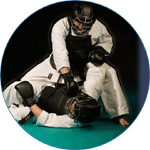 Basis of judo training was randori – free bouts which had certain rules.
. 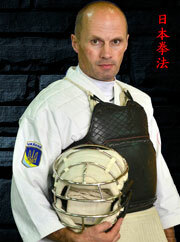 But randori rules did not let use strikes. 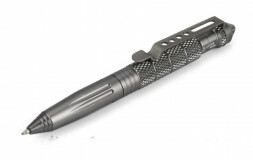 These rules made fighting safe and protected sportsmen from serious injuries. Fighters used strikes in vital striking areas only in kata. 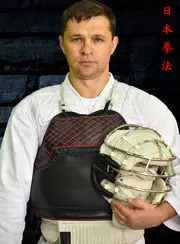 But Sawayama thought that using only kata technique did not let sportsmen master fighting on high level. 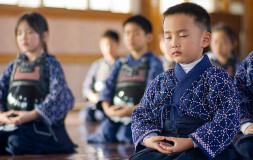 Understanding of it made him start exploring old schools of budjutzu (jp: 武術:じゅつ) (martial arts) famous for sophisticated techniques of striking in atemi (vital areas). 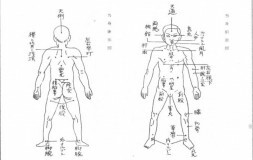 He spent a lot of time looking for ancient manuscripts describing these techniques and communication with masters living in Osaka in that time.
. Osaka became the center of activity of masters of different martial arts systems. 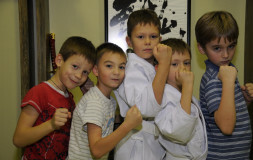 Thanks to this Masaru could attend trainings and master classes of different martial arts styles and schools. 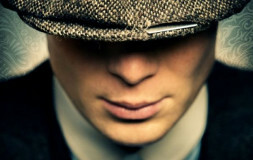 He could compare advantages and disadvantages of kicking and striking techniques. 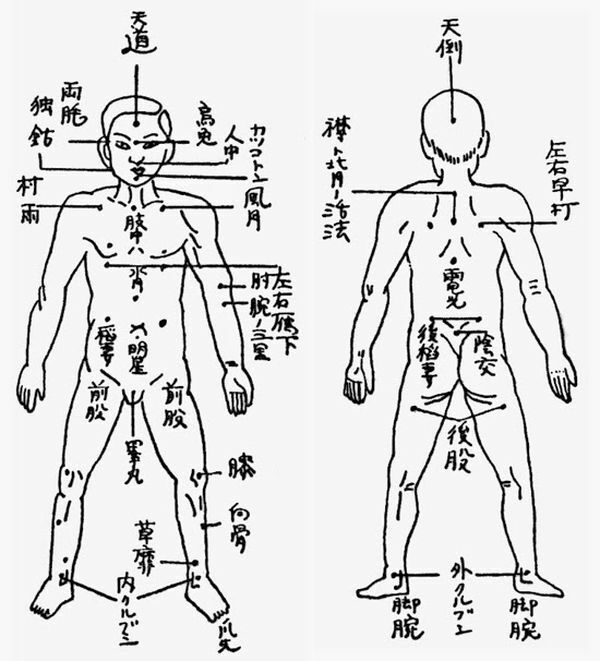 He came up to the conclusion that real martial arts like ancient bujitsu must include striking and kicking techniques, throws, reverse joint locks and skills to resist an armed person. Then he decided to create a synthetic applied fighting system of practical use. After learning from master of Okinava karate and founder of Shitoryu karate-do style Kenwa Mabuni, Sawayama founded the Centre for Tode Study at Kansay University. Tode is the general term for martial arts of Chinese origin in Okinawa.
. Masters of different fighting styles gave seminars and classes here. He invited the founder of Gojiryu style Miyagi Chijuni and Chinese master of Bahei Tzhuan style Hu Siangui 白鹤拳, whose method influenced a lot Gojiryu and Shitoryu schools, to give classes at Kansai university at the beginning of 1930s. Their performances and teaching methods promoted growing interest of people in Osaka nearby districts to Okinawa martial art. Find the most efficient atemi technique. Sawayama tried to achieve these goals in different ways which were not always successful.
. Later, they became one kind – jui-kumite. While yakusoku-kumite sparring (when the opponent says what he is going to do) students struck and kicked according to the instruction of the teacher. This made the activity relatively safe. Jui-kumite is a free sparring. 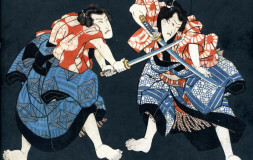 Sawayama described it as a kind of sparring when fighters use attacking and defensive techniques freely. 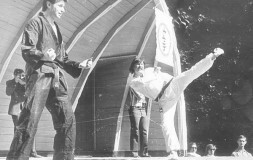 However, attacker strikes and kicks and waits the opponent to use a protective technique. 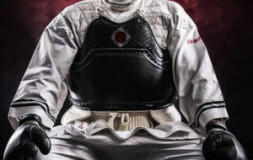 The main idea is to practice different protective techniques freely and counter-attack. It is go-no-sen method (skill to counter-attack after resisting opponent’s attack) with outlined roles. At last, but not the least is sinken kumitte. It is a sparring with fighting swards which is a free bout with hikite. 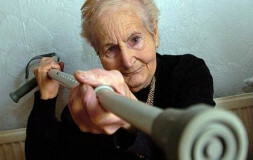 And it reminds sparring in modern WKF karate system with sun-do-me rules. This system of trainings developed in autumn of 1930 and became standard for Centre for Tode Study at Kansay University. Active use of judo and jujitsu techniques in sparring made members of the Centre think if they did karate or if they created a new independent kind of budo which had the right to exist. This opposition made relations between Sawayama and Kenwa Mabuni complicated. 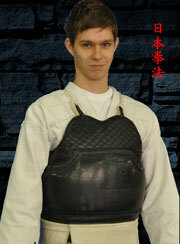 However, the creator of a new fighting style and his teacher continued business relations. Mabuni followed his student’s thorough methodological search. 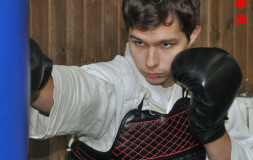 He looked for new forms of sparring which made training process even more efficient. 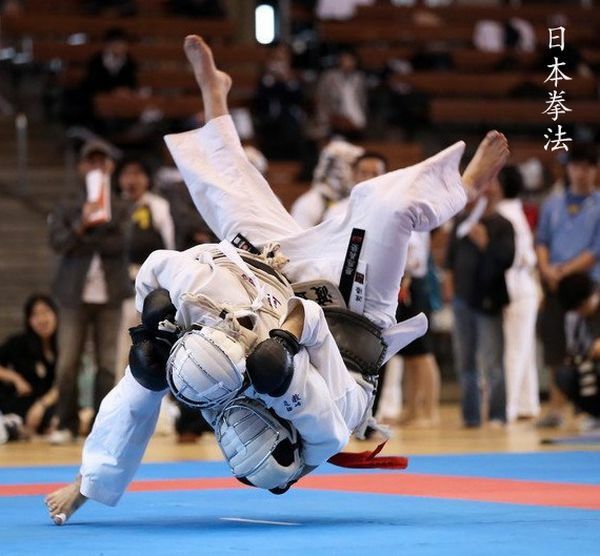 Sawayama refused from basic kata practice and focused on free bouts. But experience showed that, firstly, sparring with restricted contact did not have real effect. Secondly, it did not make fighting safe because during the bout fighters could strike in contact by accident. That is why very soon after Dai Nippon Kempo Kai foundation its leaders began experiments with different kinds of protective clothes. Finally, they decided to use special equipment – bogu: helmet with bars for face protection (men), chest armour (dou), groin armour (matate), and boxing gloves (gurubu). This gear let strike and hit with all might, do throws, reverse joint locks in sparring and ground bouts. The main was that fighters could have full-contact strikes and kicks without serious injuries to the opponent. This became carte-de-visite of Nippon kempo. Absence of weight categories, kicks in groin, training of special stamina and spirit are chief advantages of Sawayama’s systems. 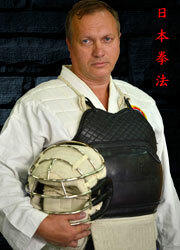 Systematic kumite practice is the way of fighting spirit development and control. 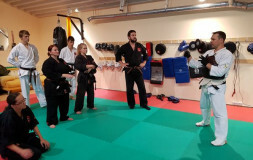 It makes this type of exercise an important and efficient means of bringing up braveness.
. Sawayama’s students exchanged powerful strikes, did throws and reverse joint locks while standing and falling on the floor, continued to fight underground, skillfully using karate, boxing, judo and jiu-jitsu techniques. This kind of sparring was introduced to Dai Nippon Kempo Kai in 1934. This year the first official bogu fight tournament was held in main dojo (jp: 道場)of Kokai Association, members of which practiced Nippon kempo. Spectacular fights with a lot of powerful strikes and kicks, beautiful tough throws, reverse joint locks impressed and inspired young people, university students in particular. It was the beginning of Nippon kempo. In 1936 Nippon kempo club was opened in Kansai Gakuin University. Competitions between the teams of Kansai and Kansai Gakuin Universities attracted many viewers. In 1936 the first public Dai Nippon kempo tournament was held and the first championship in Japan was held in 1939. Japan took part in world war II (WW II). In 1940 Sawayama joined the Imperial Japanese Army and went to China. 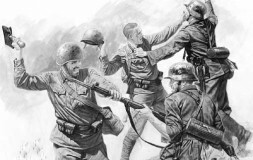 In WW II many martial arts teachers and students were killed. In 1946 those who survived gathered to continue their common business in Japanese hand to hand fighting developing. They restarted Nippon kempo trainings in a police department in Osaka. In 1947 Sawayama got married to his army wife. This year Nippon kempo association was opened (the name did not have “dai” – “great”). In 1953 together with 70 students he successfully presented Nippon kempo system in Tokyo. In consequence several universities organized Nippon kempo clubs.
. 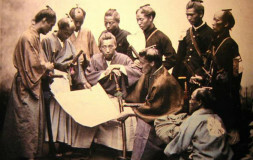 Thus, Sawayama Masaru became Sawayama Muneyomi. Since 1954 constant teaching of Nippon kempo instructors has been conducted in Kansai University in Osaka. 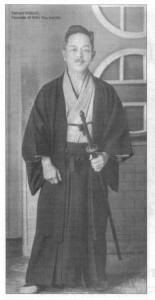 In 1954 Nippon kempo was included into Kansai University curriculum. In 1958 Nippon Kempo Kyokai Association began to work intensively in the Japan Self-Defense Forces departments and schools for the police. 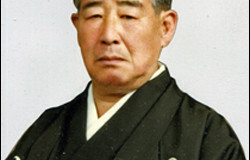 In 1964 Sawayama finished work on Nippon kempo system and published his book Spirit and Philosophy of Nippon kempo. In 1967 he became a professor of Osaka University. 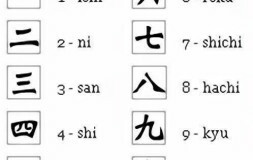 In 1971 he wrote «Warera no shinjo» (spiritual premises and directions for those who practice Nippon kempo). In August of 1976 the first championship with the representatives of Western countries, in fact, the first world tournament, was held in Osaka. 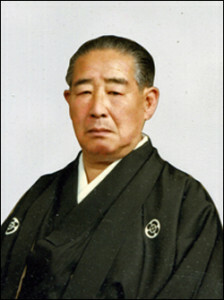 After a long illness on September 27, 1977 the founder of Nippon kempo system died. He was Budo Teacher who made revolution in Martial Arts of Japan and created the first Mixed Martial Arts system. He grounded it as an applied system of practical use which provides philosophical and spiritual development. 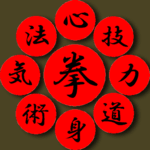 Today thanks to Sawayama we have an original system of Martial Arts which is not similar to any other system. It has a strict structure and it is not a simple compilation of different techniques. 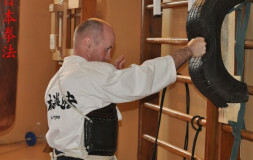 Nippon kempo is not just a routine art such as ikebana or tea ceremony and will never be. 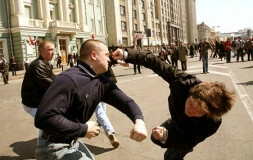 This fighting art develops skills which can help in real life. 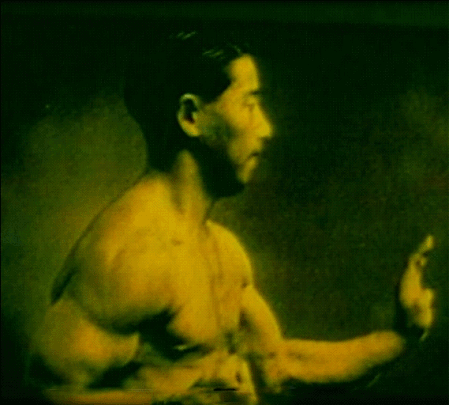 Japanese hand to hand fighting of Nippon kempo is the realization of fitness and techniques development as well as of power and spirit concentration of a fighter – kihaku (気迫). IF YOU HAVE TIME, EXPAND NIPPON KEMPO!